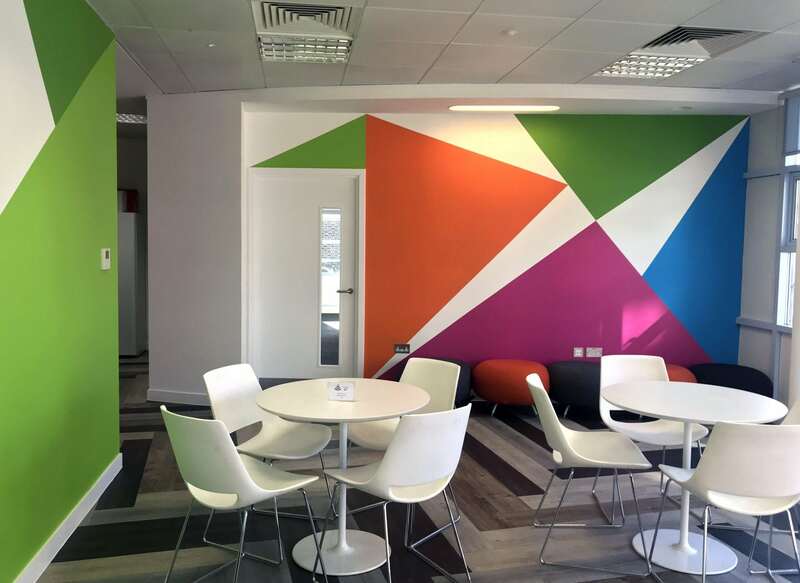 Clearcast is the UK’s leading broadcast clearing agency. 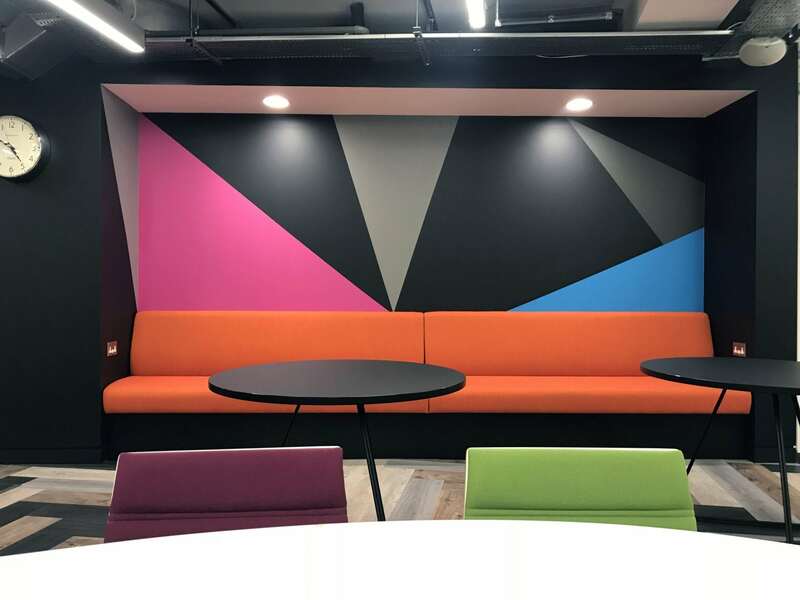 They approached us to create a visually unique workspace that reflects the company’s brand. 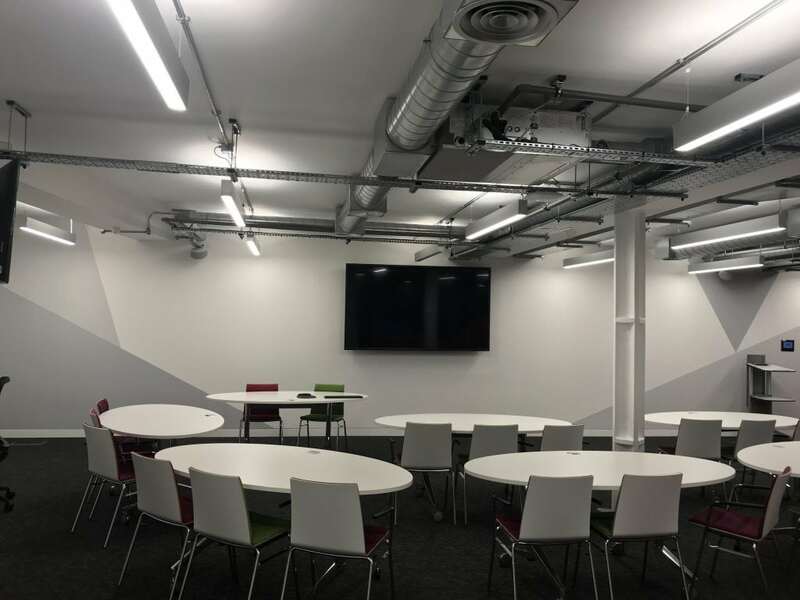 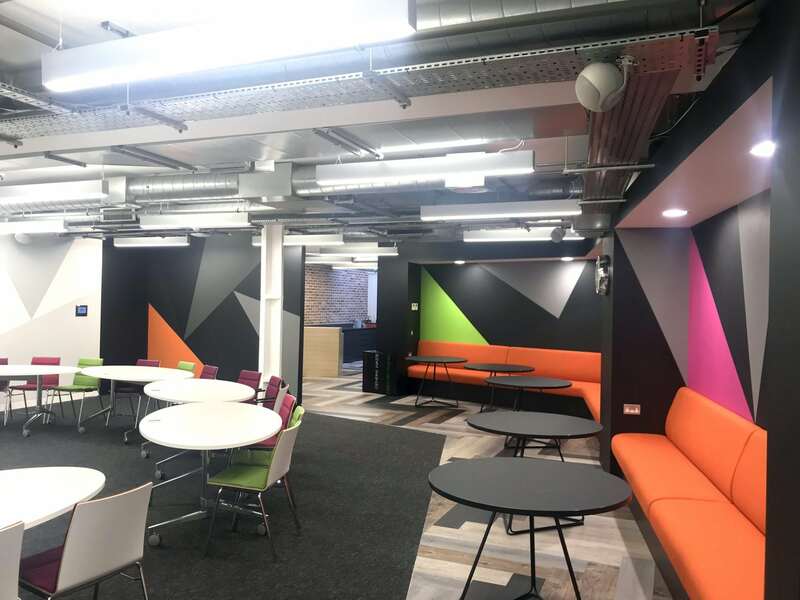 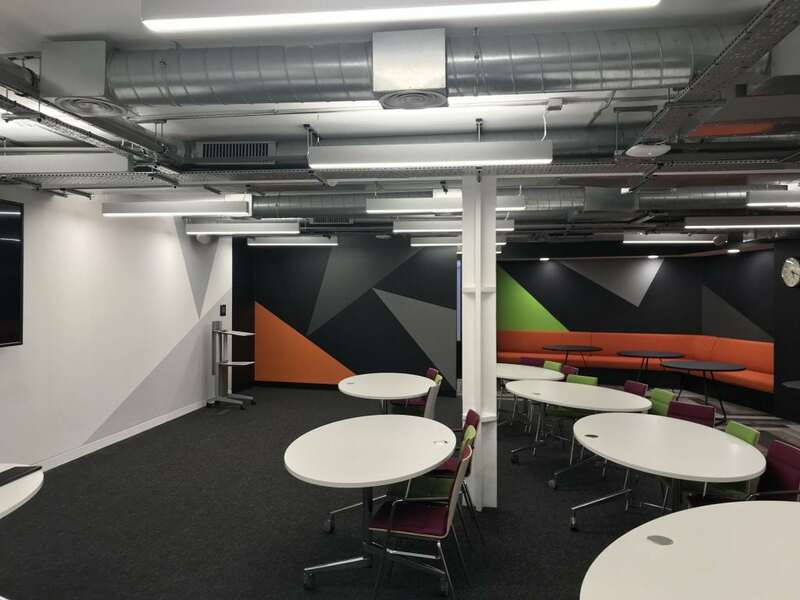 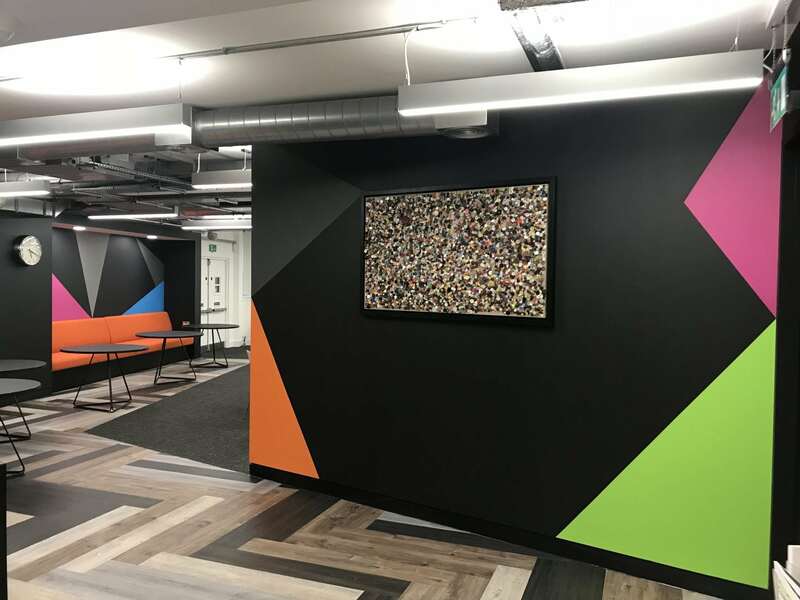 The office had been previously refurbished, but the walls had been left blank, and Clearcast wanted us to bring the space to life, inspiring those who use it. 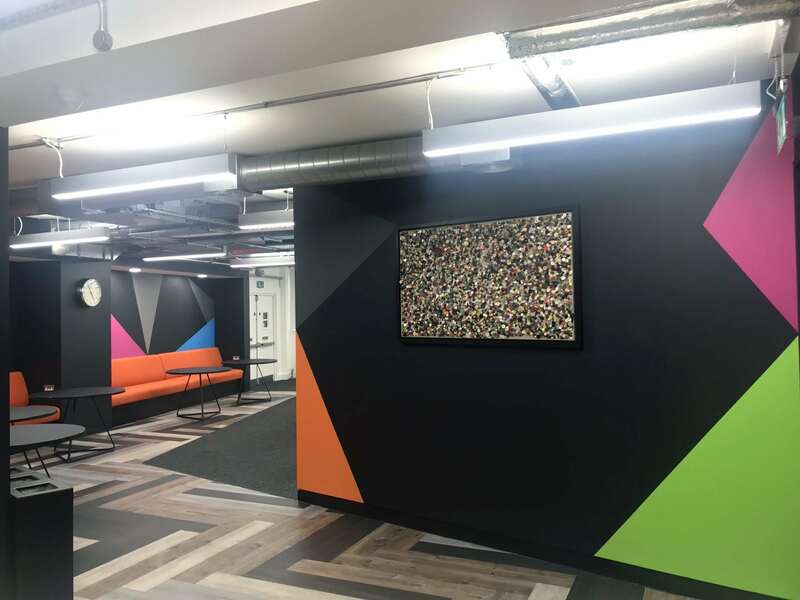 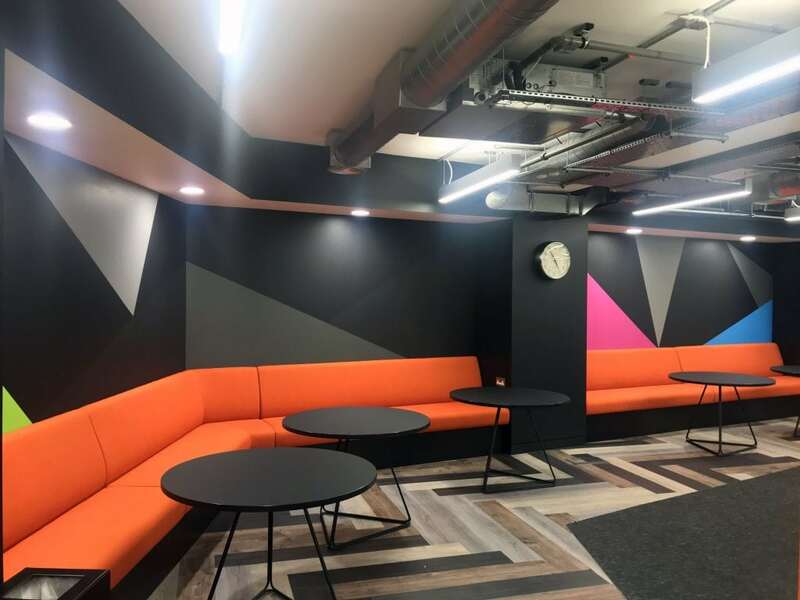 The project incorporated three key areas – the viewing lounge where clients go to review adverts, the main office, and the team breakout area. 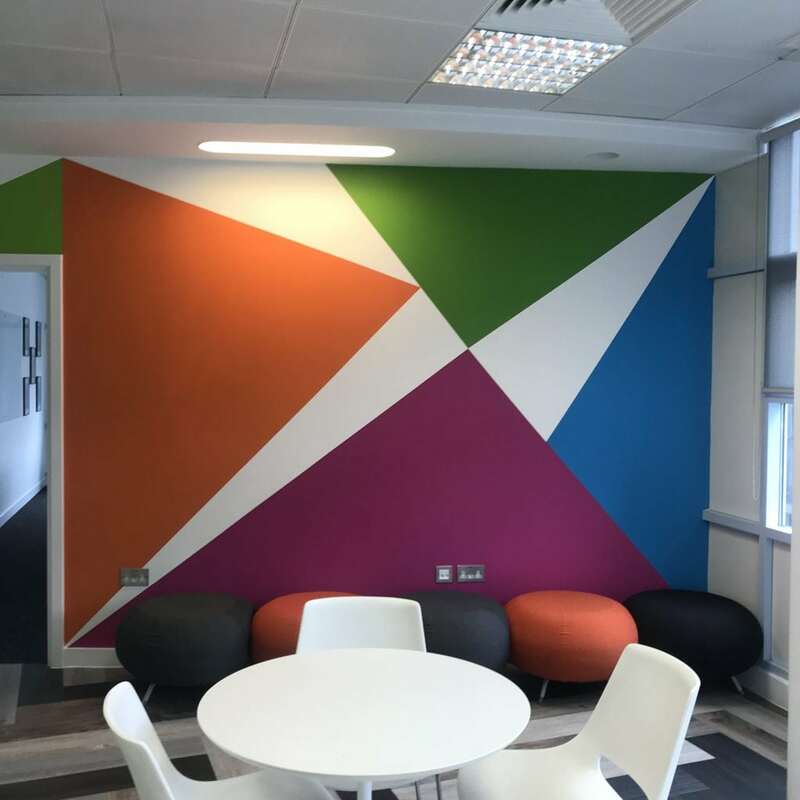 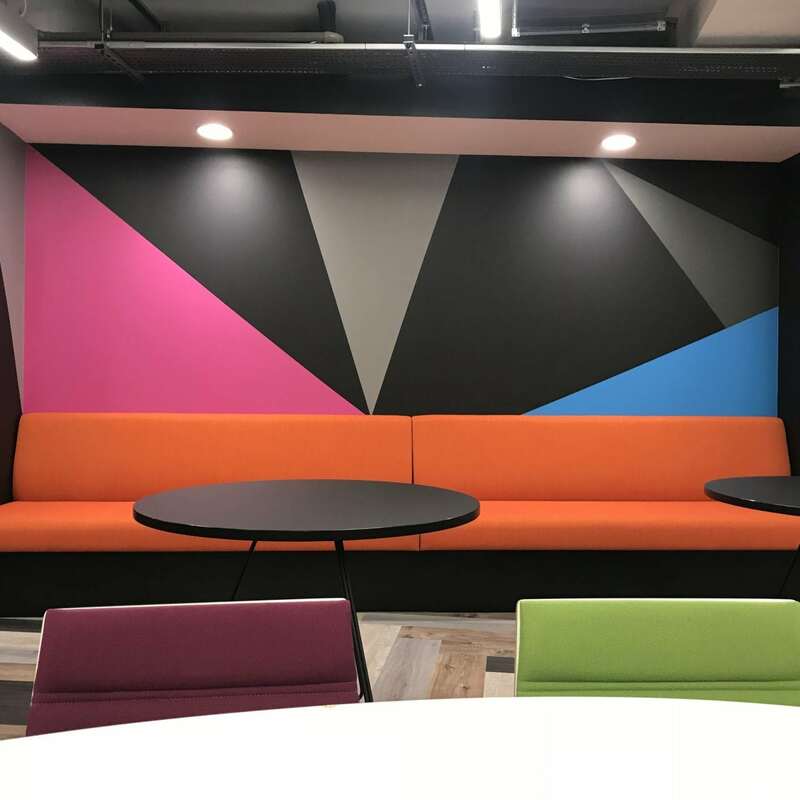 We used hand-painted bold graphical shapes in the company’s brand colours to bring energy and vibrancy to both meeting and work areas. 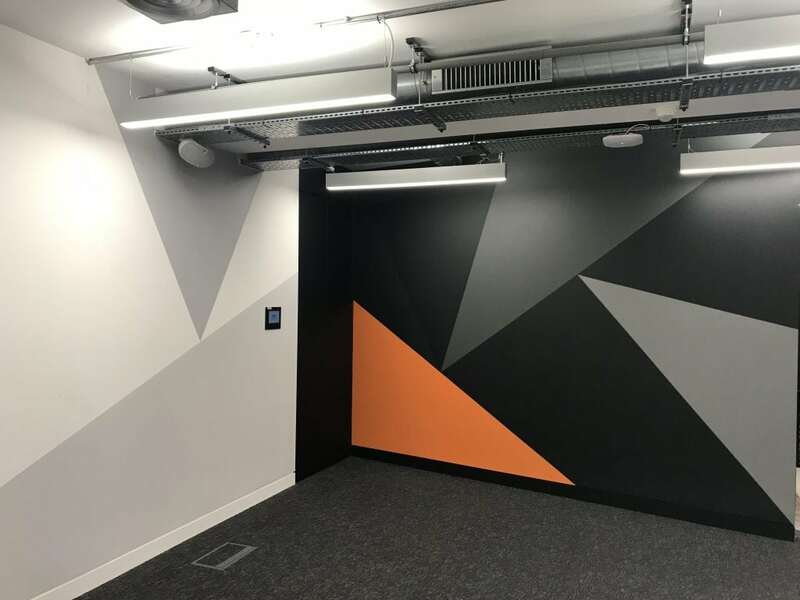 While the brand colours were present in each area, the use of darker and lighter backgrounds and the different arrangement of the graphical shapes enabled us to produce visually different zones, that still worked in harmony as a whole. 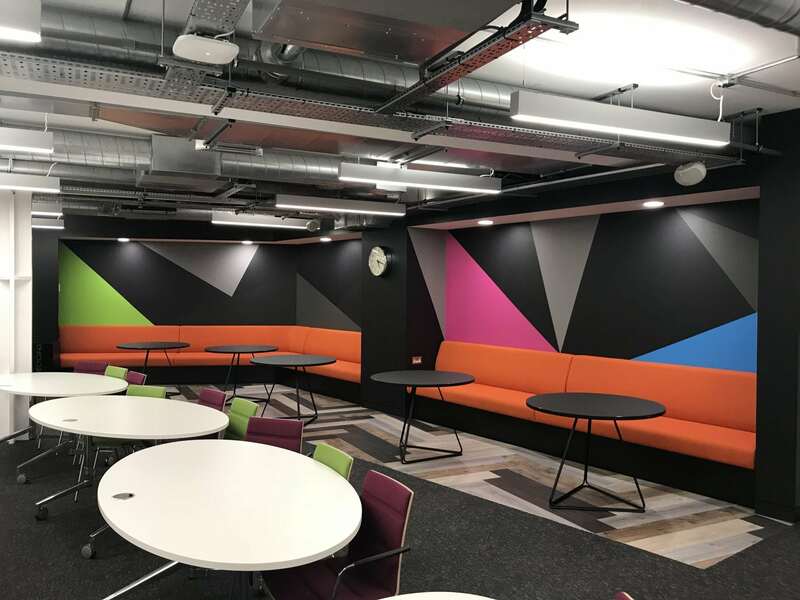 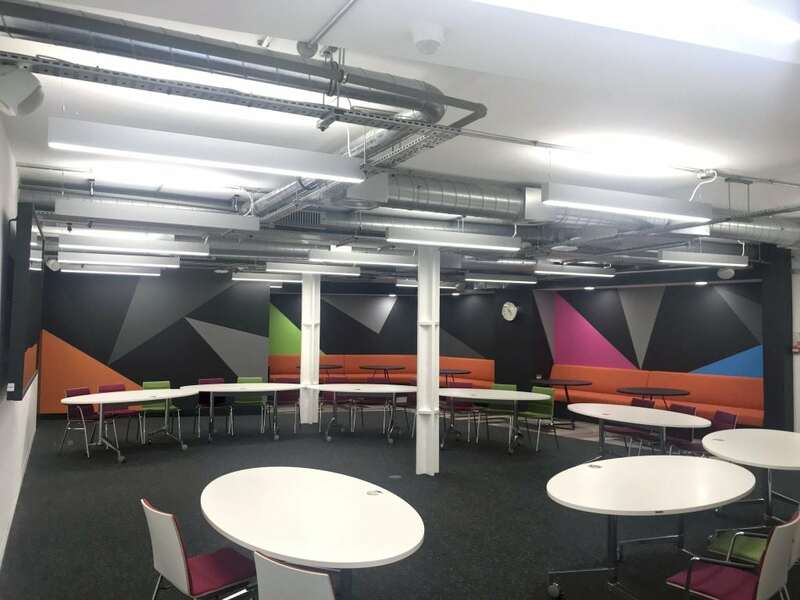 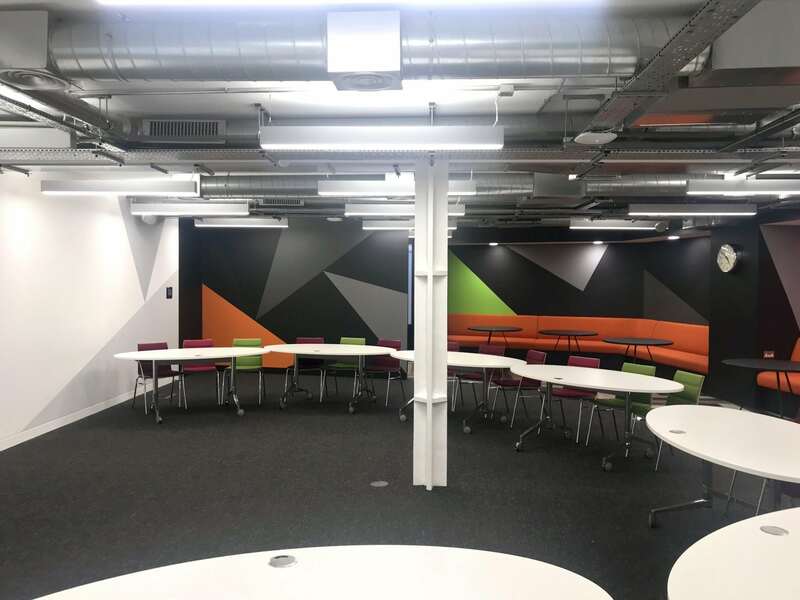 Within the work completed over a single weekend, we were able to completely transform the area from a blank canvas to a special workplace environment that they are happy to showcase and work in.